SCVHistory.com LW3237 | NASA DC-8 Flies Over Mint Canyon, 1972. 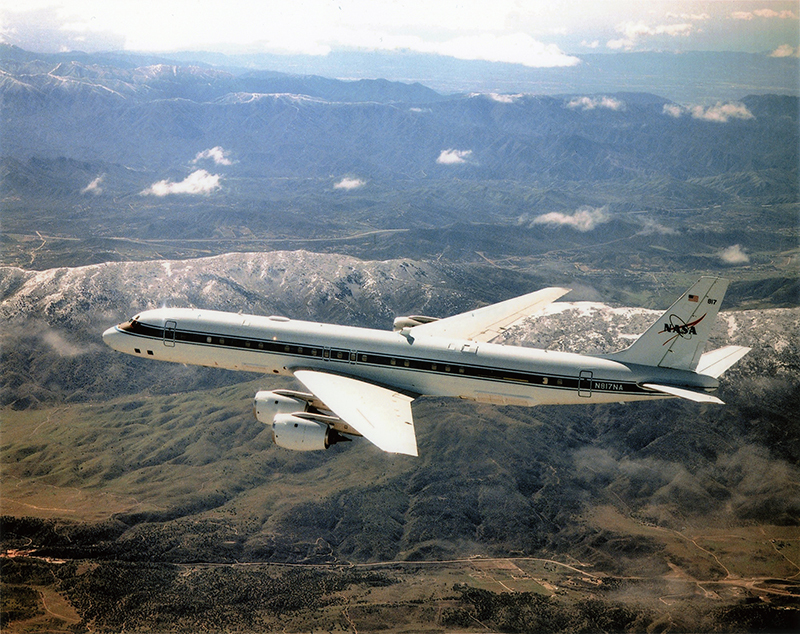 NASA DC-8, tail number N8917NA (aka NASA817), flies over Mint Canyon, 1972. 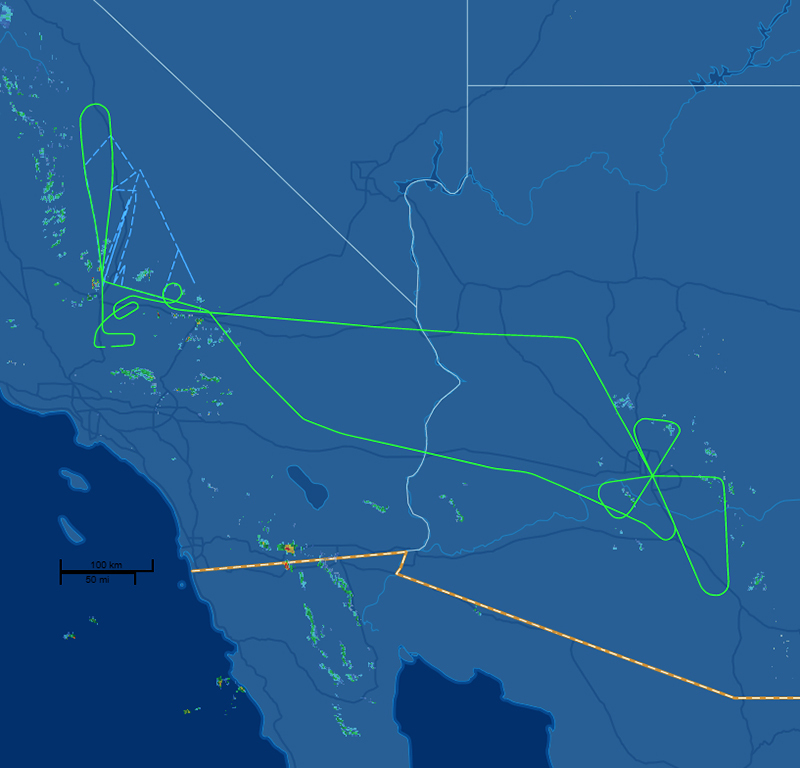 As of 2018, this plane files out of Edwards Air Force Base on a loop that takes it out over Phoenix and Tucson, roughly following the 10 and 40 Freeways. LW3237: 9600 dpi jpeg from copy print purchased 2018 by Leon Worden. Date (1972) is according to the photo vendor.